As Spring approaches (though it’s hard to tell when you’re still wearing your winter down coat) the vegetable that epitomizes Spring for me is asparagus. I really like asparagus. I like them even thinner than pencil thin. My mom always preferred them really fat asparagus – she liked the meatiness. The great thing about asparagus is that size does not matter (really, I’m not just saying that). 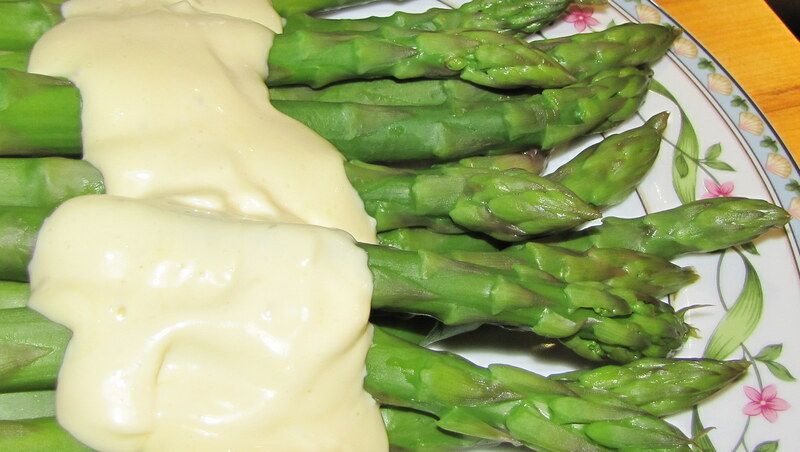 What is important in choosing asparagus is that they be firm, no limpness. 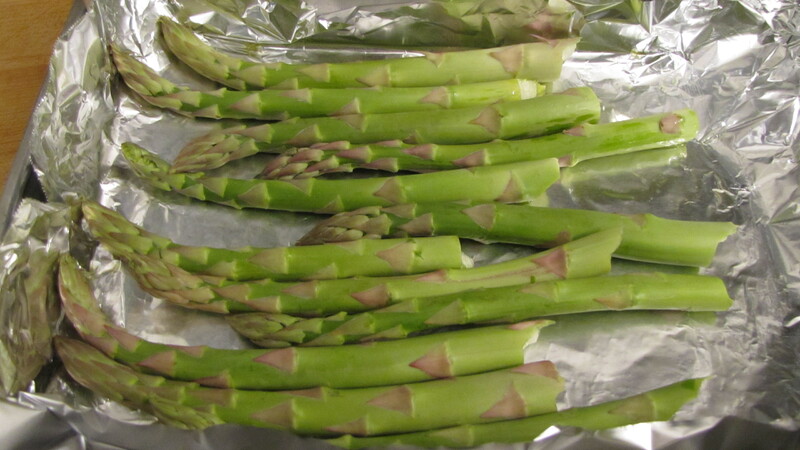 Look for asparagus with tips that are closed – and certainly avoid any that are starting to look wet and dark or slimy. 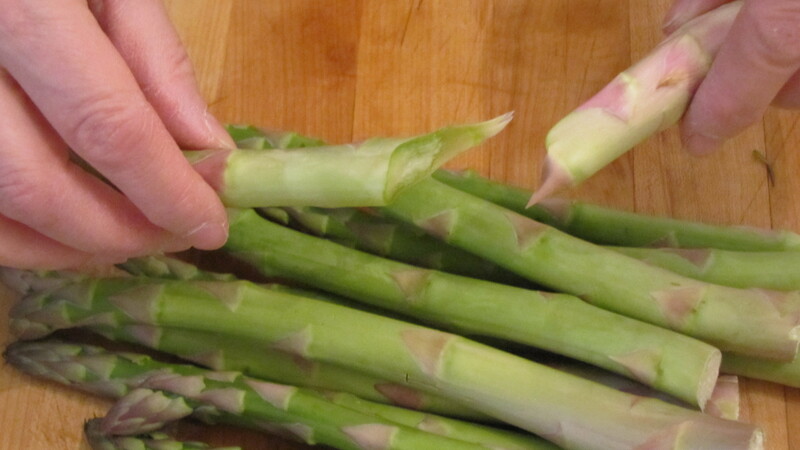 The bottoms of many asparagus can be tough which is why we snap them off. Chose ones that are green all the way to the bottom as white on the bottom is definitely going to be tougher and you will be discarding more of the asparagus when you snap it – but that does not affect the flavor or mean the rest of the asparagus will be tough as well. 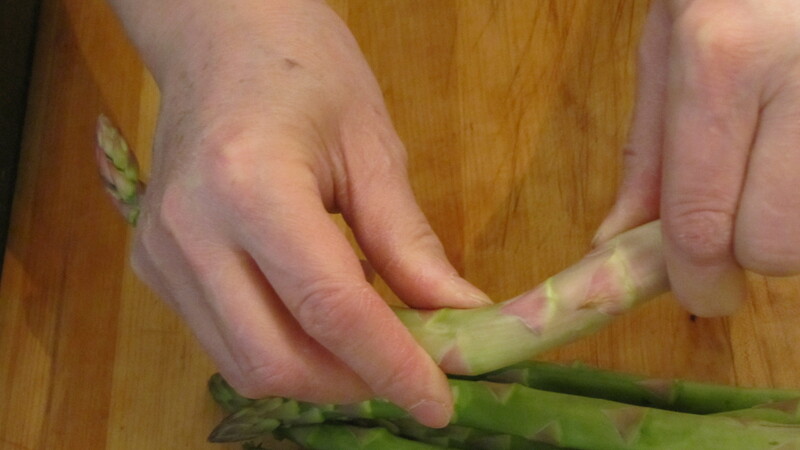 The proper way to prepare asparagus is to let the plant tell you where the tough part starts. 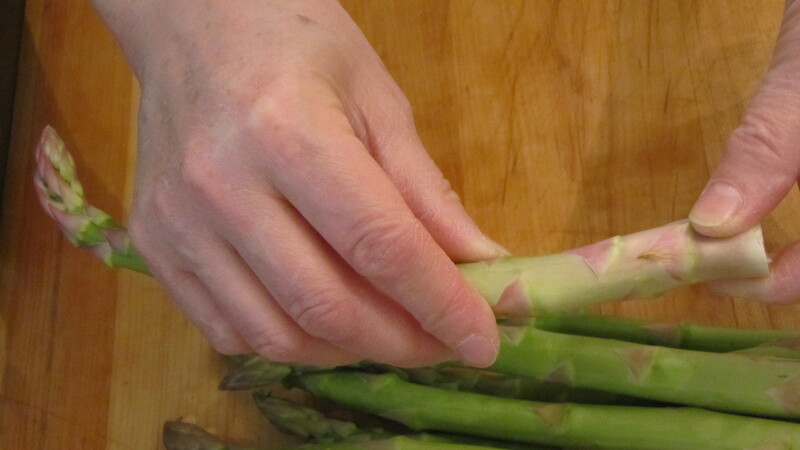 Do this by holding the asparagus with one hand on the bottom and the other in the middle or slightly towards the top. 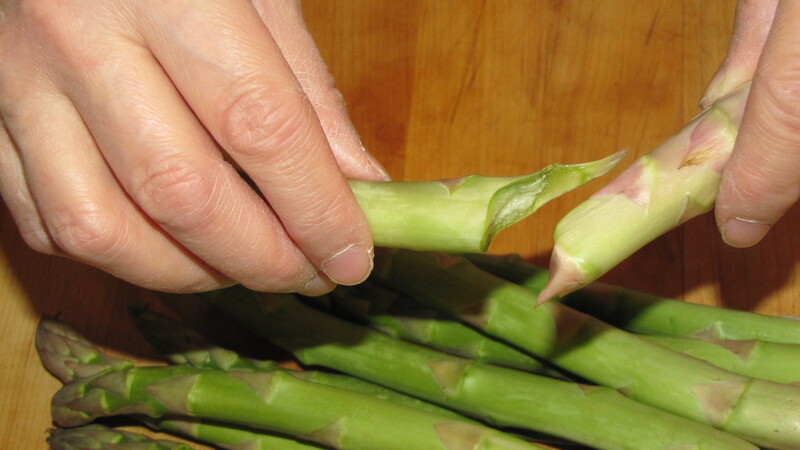 Bend the asparagus until it snaps, leaving the bottom part to be discarded and the top to eat. 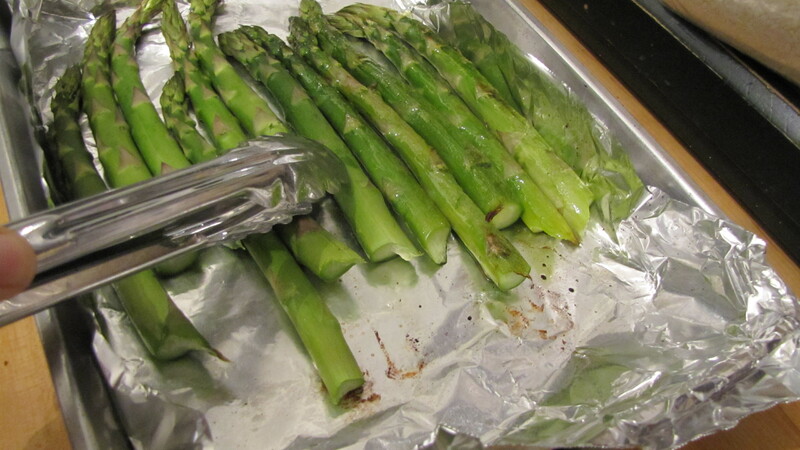 My favorite way to prepare asparagus is to roast them. Preheat your oven to 400F. Line a baking pan with aluminum foil. 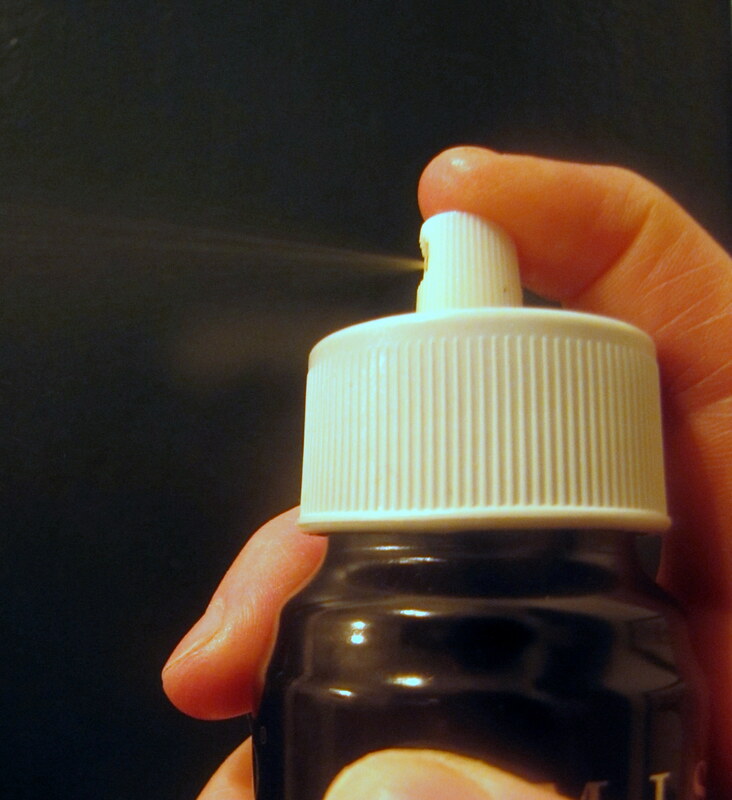 Now remember the Misto olive oil sprayer I recommended some months ago? Now is the perfect time to use it. Spray the pan with a light film of olive oil. Add the asparagus and give a light spray. Using the Misto prevents the asparagus from getting too greasy. Bake 15 minutes or until softened (the timing will vary depending on how thick your asparagus are), turning once during baking – and that’s it. If you like, you can serve them with Hollandaise sauce. 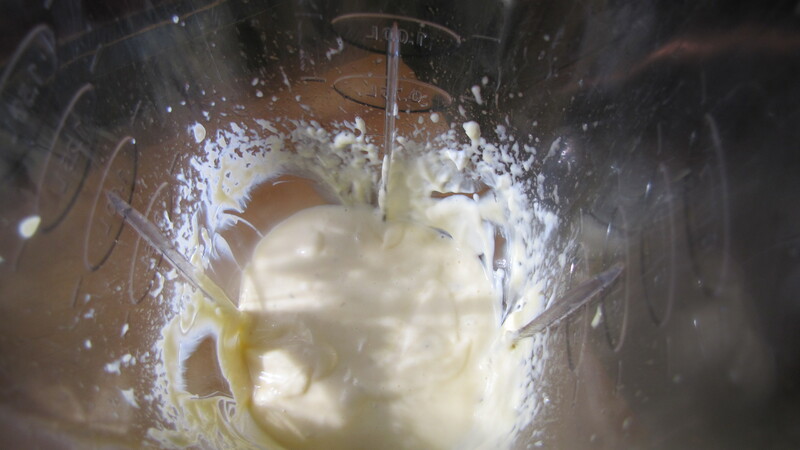 Dairy-free or Mock Hollandaise Sauce uses mayonnaise as it’s base, which makes sense as both sauces are made using the same technique except – and it’s a major exception – mayonnaise has oil in it and hollandaise has melted butter. This hollandaise is rich and lemony (you can add 1 teaspoon more lemon juice if you really like lemon) – and, did I mention yummy? In addition to using it on eggs, it’s great on vegetables. 1. 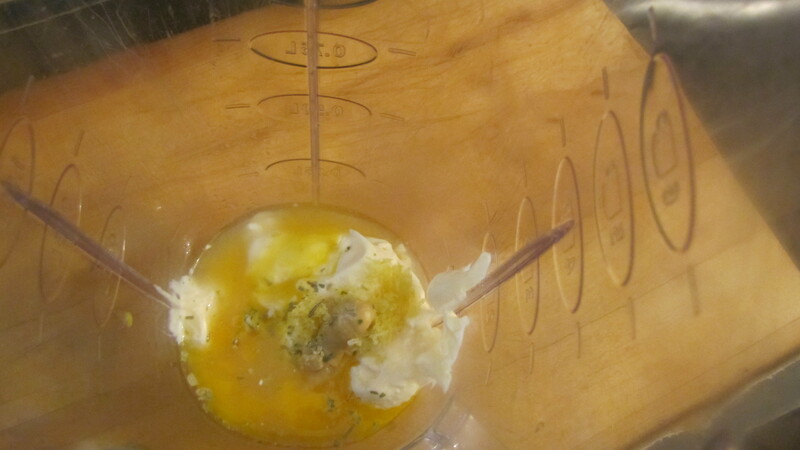 Place the mayonnaise, egg yolk, lemon juice, lemon rind, mustard, and tarragon into a blender container. 2. Cover and process until smooth. If too thick add water. 3. If not using immediately, store in covered container in the refrigerator for up to 1 week. It is the only vegetable that Larry will eat. I’ve never roasted asparagus but I will try it.